Taking a fresh approach to honor Bertolli Olive Oil’s Italian roots and further fuel growth in the U.S. olive oil market, Deoleo, the global leader in sales of bottled olive oil, has introduced a new bottle design for the world’s number one olive oil brand. Developed to bring Bertolli Olive Oil’s heritage and quality craftsmanship to life in a modern yet authentic way, this refined visual identity celebrates the brand’s home of Lucca, Italy, in both shape and sentiment. 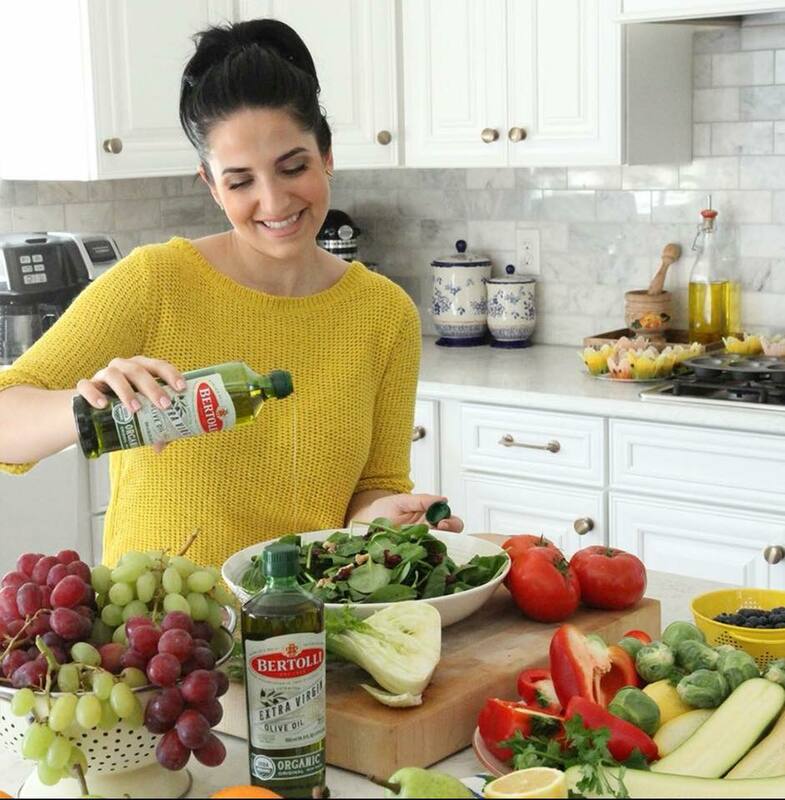 In addition, Bertolli Olive Oil is collaborating with Italian-American chef Laura Vitale, star of YouTube cooking show “Laura in the Kitchen,” to demonstrate how simple it is to cook well to live well with Bertolli—creating easy and enticing recipes, and elevating life through premium quality, rich flavors and exceptional nutrition. Vitale, who moved to the U.S. from Naples, Italy, when she was 12 years old and developed her love for cooking from her Italian grandmother, will work with Bertolli Olive Oil to develop content that emphasizes the ease and enjoyment of cooking. As a teenager, she developed her love for cooking from her Italian grandmother, learning many of the simple recipes for classic Italian dishes over the phone. Deoleo tapped Stranger and Stranger to redesign the Bertolli Olive Oil bottle globally. The company drew inspiration from the brand’s unique history, pioneering of new flavor profiles, labeling and packaging practices, and commitment to quality and simple ingredients for living well. From top to bottom, the bottle features an oval shape to replicate the shape of the heart of Lucca, a Tuscan city well known for its round design created by a series of fortifications. The label features a picture of a ship to represent Bertolli being the first brand to export olive oil to America and the great migration of Italians coming to America. Small details in the typographic choices are a nod to Bertolli’s quality, authentic Italian past and heritage. The bottle retains the Bertolli logo and dark color to protect against light and help further safeguard the quality of the olive oil during its lifecycle. Founded in 1865 in Lucca, Italy, a small shop owned by Francesco Bertolli and his wife, Caterina, began production of olive oil that would soon become a staple throughout homes in Tuscany and eventually worldwide. In the early 1950s, when olive oil was packaged in metal cans and drums, Bertolli began using glass bottles for packaging. 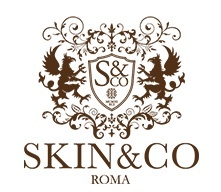 The company was the first to identify on the label the important health benefits of olive oil for consumers. It was also the first to introduce different types and flavors of olive oil for the American market. 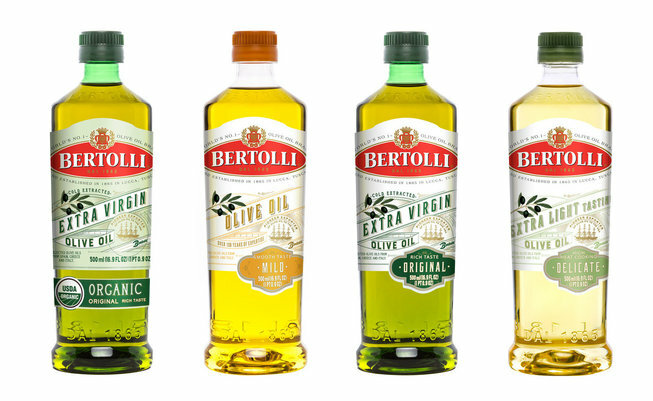 The new packaging will be seen across the entire Bertolli bottled olive oil line. The new bottle is now available in authorized retail partners in the United States and Canada. Follow Bertolli Olive Oil on Facebook and Instagram (Bertolli_US) for the latest product news, recipe creation and promotional offers. Deoleo is the world leader in sales of bottled olive oil. A renowned multinational food group, Deoleo is present in more than 80 countries across all continents, with factories in Spain and Italy, and is listed in the Spanish stock exchange (OLE). Deoleo produces the widest portfolio of leading olive oil brands around the world, including Bertolli, the best-selling brand in the U.S.; the premium Carapelli brand; the heritage brand Sasso; and the leading Spanish brand Carbonell. Deoleo provides distinct olive oil brands that are unmatched when it comes to traditional flavor, exceptional quality and influential innovation. For more information, visit Deoleo.com.